And so the Tynecastle hoodoo continues. Only Maurice Malpas is still with the club since we last beat Hearts at Tynecastle in March 1985 and he scored the winner that afternoon. Regrettably to say, there were was never any real likelihood of that sad record being improved upon. Forced to play this match less than 48 hours of the European tie with Tatran Presov, United were toiling from almost the very start. Alan McLaren broke from defence and found himself deep in United territory, but fortunately finished in typical defender's fashion by blazing his shot over the bar. It was half way through the first half before the Tangerines had their first crack at goal when David Hannah ran in to belt Alan McLaren's clearance sneaking inches over from 22 yards. But that was the best a subdued United side could produce in the opening 45 minutes which came a conclusion with United two in arrears The Tannadice defence failed to heed the warning when a header from Thomas bounced off the bar and three minutes later the Maroons went ahead when Colquhoun whipped over a cross which found Thomas unmarked and though Alan Main got his hand to his header the ball rolled into the net in-off the post. Hesitancy in front of goal cost the youngster the chance of a second shortly afterwards, but ten minutes later substitute Alan Johnston drifted in from the left past two defenders. Alan Main blocked it with his legs, the ball ballooned up in the air and was eventually touched on by Thomas for Frail to turn home. Jerren Nixon who had come on for the injured Dave Bowman breathed new life into United with a goal out of nothing. 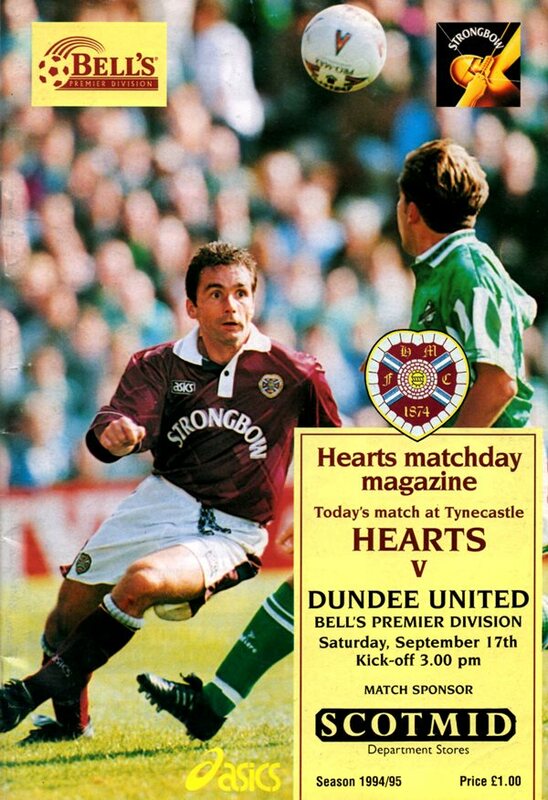 Dragutin Ristic made a diagonal run slipped the ball to Jerren Nixon who flicked the ball over Levein's head and sent in a low shot which went under Henry Smith. United had most of the play now, but only threatened with a Ristic header which Smith tipped over and Craig Brewster when he blasted a first time shot from Jerren Nixon cross over the top. 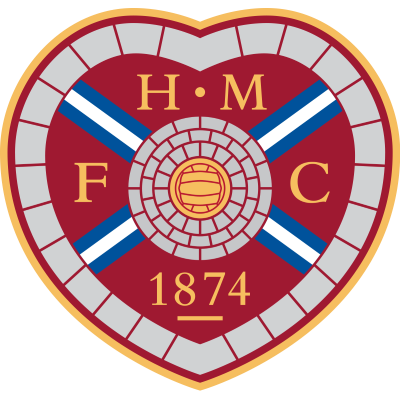 Hearts meanwhile gave the United defence a couple of scary moments most notably near the end when Leitch released Mo Johnston in the inside right channel and only an acrobatic save by Alan Main stopped Hearts winning margin being greater. Golac's comments: The folly of being forced to play twice in such a short space of time was there for all to see. Players require recovery time. The team looked tired and jaded. However, that doesn't excuse our lack of passion, something our young players must learn to show at all times. They certainly can learn from Maurice Malpas and Jim Mclnally who showed great professionalism.